Life of the 'Withered Arm' railway. | Launceston Then! With the opening of the line to Padstow in 1899 the line soon settled down providing a speedy connection along its route to the national railway network and the subsequent rewards to the connected communities. In 1912 when the new General Manager of the L.&S.W.R., Herbert Walker, proposed that the L.&S.W.R. should absorb the N.C.R., but an agreement was negotiated whereby the L.&S.W.R. settled for a re-organisation of the then existing stockholding, rentals and rebates. The period leading up to the First World War saw the North Cornwall line establish itself along with a growth in train traffic. Despite the lines remoteness, the war impacted on its running. Trains ran as normal in 1915 except for the occasional cancellation for troop movements (below). From 1916 to 1917 the summer extra’s were cancelled as the Government required engines for war service as well as provision for extra cattle trains. Even then there was a basic daily five train service each way from Okehampton to Padstow although the limited Sunday service ceased from January 1917. From May 1918 further reductions were applied which then lasted the duration of the war and into 1919. In fact it wouldn’t be until 1921 that the normal pre-war services returned and even then the abundant services offered before 1914 never ever fully returned. In 1922 the majority of railways in Great Britain were amalgamated into four. The N.C.R. was taken over by the L.&S.W.R. which in turn was absorbed by the Southern Railway along with the GW.R. The NCR was formally wound up on 6th March 1923, more than two months after the L.&S.W.R. had amalgamated with the L.B.&S.C.R. and the S.E.&C.R..
Life continued much the same under the auspices of the Southern Railway, with on-going development of Padstow Harbour and some lengthening of passing loops to accommodate the ever longer holiday trains, which returned to the line in 1924, and which were the line’s lifeblood. Goods traffic was never that good, lots of variety but not in large quantities. There was slate from Delabole, fish from Padstow, rabbits from Camelford, Otterham and Tresmeer but the hoped-for agricultural traffic that had been anticipated and was so important on many another line never really materialised. August 1939 served as a very unsettling period with people cancelling their holidays and reservist being recalled to their barracks and depots. Even before the British Government had had a reply to their ultimatum to Germany over its invasion of Poland, the evacuation of school children had begun from London on August 31st, being completed by September 3rd, the day war was pronounced. The evacuation’s took place from Vauxhall and Wimbledon with the destinations in North Cornwall being the main towns including Launceston. From here they were dispatched to the rural areas by local coach operators. 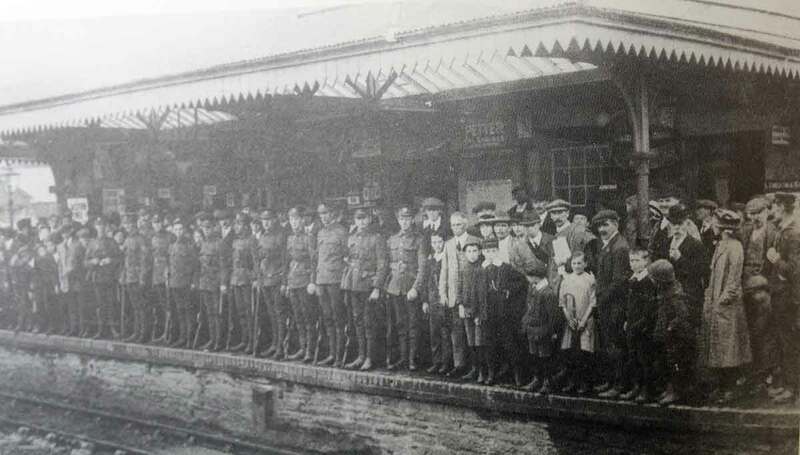 Further evacuations from London occurred during the blitz of 1940 and 1941 with over 500 evacuee’s arriving at Launceston in the June of 1940. Although Plymouth was on the receiving end of severe bombing on its railway infrastructure the North Cornwall line escaped any direct attacks. The war did impact on the infrastructure of the line not least at Tower Hill where in 1943 two sidings and hard standing were laid down on the up side as well as the extending of the down loop by 150 yards on the western side of the station. This was to allow the U.S. army access their various ammunition dumps that were then scattered around the nearby countryside. There was also a signal box installed in the booking office to control this new local traffic which protruded out into the up platform (seen below). 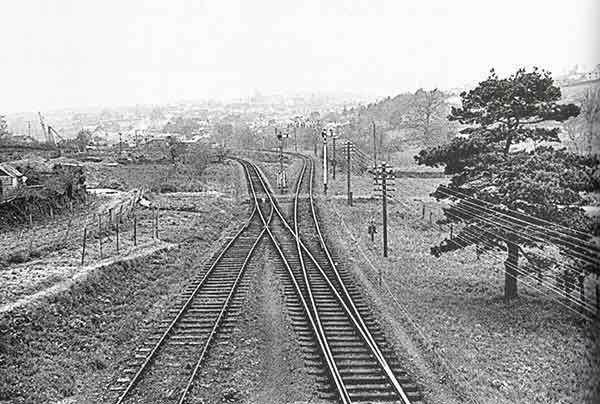 Also in 1943 an ’emergency’ spur (above) was added at Launceston enabling a connection between the two lines. This spur was used for munitions trains during the remainder of the war, but would prove to be of use after the war to transfer traffic. After ‘D-Day’ in 1944 saw the line being used to transport ‘P.O.W.’s with many disembarking at Launceston for the Pennygillam P.O.W. camp. After the war in January 1948 all the railways were nationalised and the Launceston lines found themselves part of British Railways (Southern Region). Then in 1950 all lines west of Cowley Bridge Junction became part of Western Region. On 1st January 1951 Launceston station became Launceston (South) with the ex-GWR station becoming Launceston (North). However, the two stations continued to act independently until 1952 when all passenger traffic was concentrated through the Southern station and the G.W.R. station was purely used for goods traffic. With petrol rationing still in effect until the 1950’s and due to the remote nature of North Cornwall, the line continued to see a good use. But things were slowly changing and private coach operators such as Blake’s running from Delabole to Plymouth began to make in roads into the customer base of the railway. 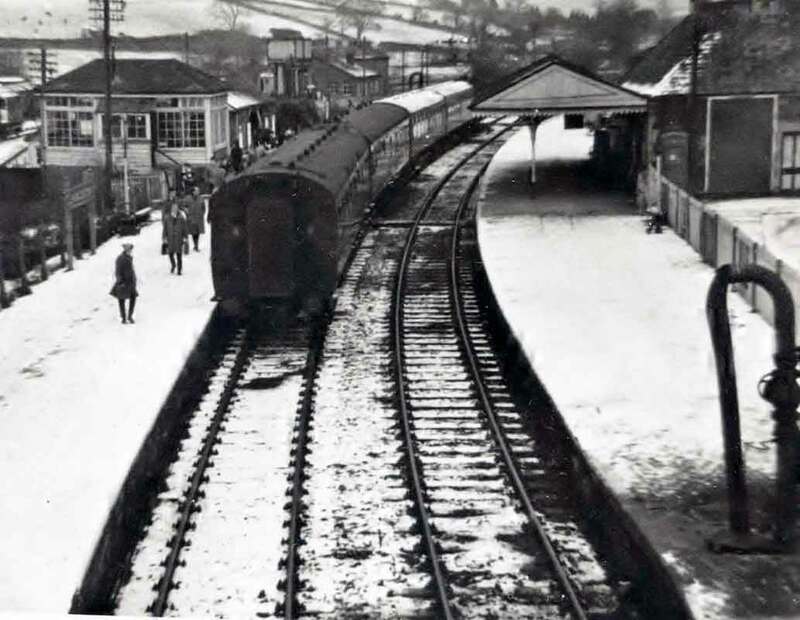 From December 31st 1962 (below) the Western Region trains from Launceston were withdrawn and the line closed as far as Lifton leaving the Southern Region along the North Cornwall line as sole train operator at Launceston. It was in April 1964, that the proposal of closing several lines including the route from Okehampton to Wadebridge was made by the Western Region as part of the Beeching cuts. 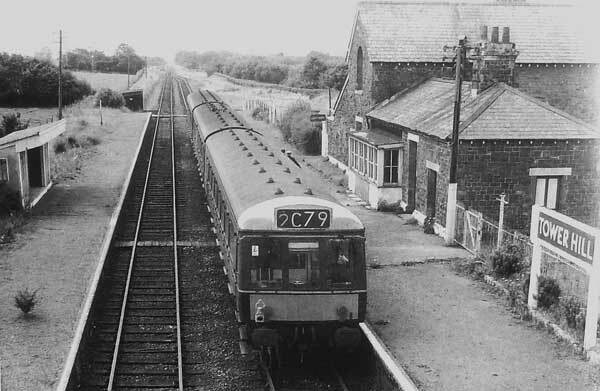 On 7th September 1964 they withdrew the goods services from Okehampton, Wadebridge and Padstow and re-opened the Lifton-Launceston line for goods traffic only. On January 1st 1965 the last steam train ran on the line being replaced by diesel railcars which by this time were running a maximum of 4 trips a day and with no services running whatsoever on Sunday’s. On February 28th 1966 the goods services were withdrawn again with the line to Lifton being lifted. This was the precursor to the North Cornwall line being closed completely on October 3rd 1966.